VanillaIP are excited to announce that from within Uboss you can now order FTTC 80/20 and ADSL2+ circuits. This has many immediate benefits for resellers and now unifies all elements of the solution stack within Uboss, namely Hosted PBX, GSM Mobile and Connectivity. This new availability builds on our ethos of making new services available and making it easy to deploy and getting it right first time. Resellers can now sell this connectivity on its own merits, but it also enhances our Hosted PBX sales messages with an on-net, private and secure service delivery story. Whether taking this as replacement xDSL service or you have a xDSL base to migrate, VanillaIP is here to help and advise. Available in both FTTC 80/20 and ADSL2+ variants,they are available as single order “Combi” services which includes the underlying copper line or an OTT service as per the tradition method. VanillaiP Connectivity features the latest security and features without ANY data limits. The services are fully API enabled within Uboss and consumed like any other site service,which means logical order step through, automatic updatE of order status,real time circuit reports for data usage and outages. Along with you the partner owning the brand,Uboss gives you full control! VanillaiP Connectivity can be used to combine data traffic, such as email and Internet access,with our Hosted PBX phone service either on the same access line or split across dedicated links.Either way,you will benefit from all voice traffic being place over the on-netVanillaiP network for quality,reliability and regulatory compliance. All call traffic is routed internally to the voice platform with data traffic then passed to the public Internet. Direct Connect – All VoIP service is routed on-net direct to our BroadSoft platform, not over the public internet. Uboss Wizard – All services and option are ordered via an easy step through contextual wizard. Both the connectivity service and underlying analogue line can be ordered within a Uboss wizard. Unified Billing – Like all other services within Uboss, there is no separate provisioning and billing steps to undertake. Uboss Reporting – Uboss will run incredibly powerful and unique real-time reports of the traffic and utilisation of the access line. 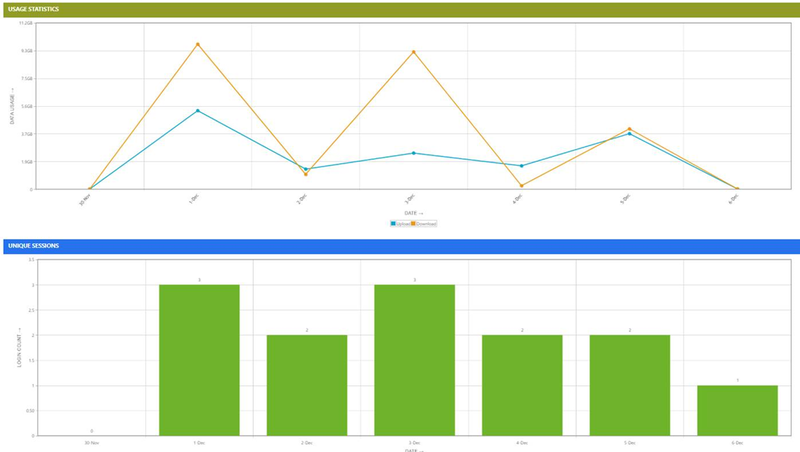 Uboss offers a usage statistics and unique session report per circuit and the reports are viewable at the business level.